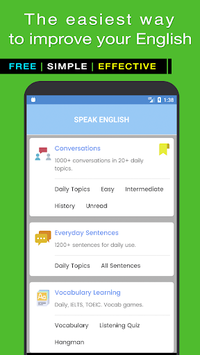 If you are looking for an app to improve your English Conversation and Listening skills and help you speak more fluently, this app is suitable for you. 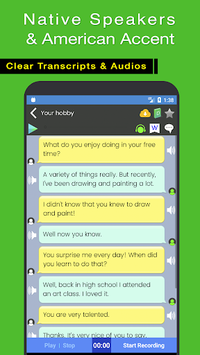 Whole audios of this app are in American accent. 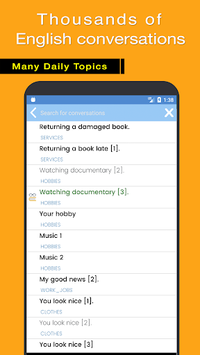 This app also includes the list of most common words and phrases used in daily conversations. It will help you speak English fluently. New lessons and features will be updated weekly.